Looking to add meaning to your life? Start with laughter. 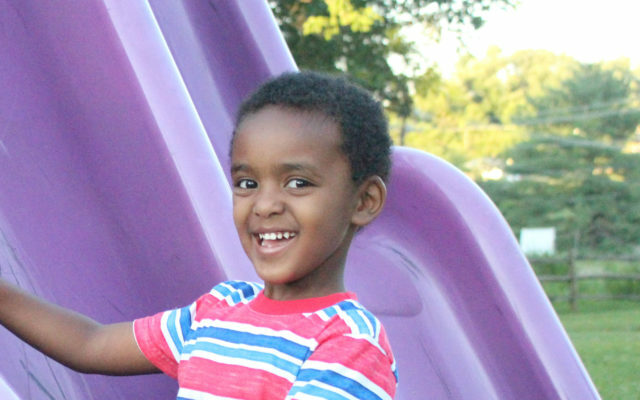 For Lauren Casper, living with her five-year-old autistic son, Mareto, is a lot like playing the telephone game. He blurts out little phrases that have their origin in something he saw or heard, but by the time they make their way through his mind and back out of his mouth they’ve transformed—often into beautiful truths about living a simple, authentic, love- and joy-filled life. Lauren joins us today, with a needed lesson on laughter. “A llama! !” He shrieked with enormous gulps of laughter that quickly turned into a case of the hiccups. This went on for a few more minutes – Mareto telling the same joke and barely getting out the punchline before his laughter overtook him, and me giggling (more at the spectacle of my tickled son than the joke that doesn’t actually make sense.) Finally, he sighed and leaned his head against mine with a content little smile on his face. My heart is full and I can tell Mareto feels connected, seen, safe, and loved. Did you know there is a discipline in the mental health community called Play Therapy? We happened upon it by accident when Mareto was a baby – my guess is that you have too at some point. By that I mean, we’d been doing it for much longer than we knew what to call it. It came naturally to us to play with our new baby boy, as I suppose it does for most parents. But as time progressed and we sensed some greater needs our son had, we happened upon books and research about play therapy. The benefits of play therapy are numerous, but just a few include reduced stress, connection to others, increase in creative thinking, a boost in confidence, and regulated emotions. It’s used mainly for children, but in playing with Mareto I see my own need for laughter and play therapy. “We were never meant to live and work and cry and laugh alone. We need deep and meaningful connections to experience fulfillment and joy. and siblings is some of the best stuff of life. and walking through the hardest moments of life. We tend to prefer either/or thinking to complexity. Maybe it’s easier for us to view life as black and white and not so gray. and right at the T—but life is more often both/and. And it’s a whole lot more rainbow-colored than monochromatic. My tendency is more toward anxiety or grief or resilience. I see the pain of life and the endurance required to move through a broken world without shattering. But Mareto is reminding me that laughter is required for wholeness and pain not only better managed, but also more fully processed when we allow ourselves to laugh and play and experience true joy. Not in place of our pain, but in addition to it. Through playing with Mareto, I’m learning to embrace a more wide open way of living where I share a full spectrum of experiences and relationships more fully. We’re giving a copy of Lauren’s new book away! To enter, just let us know in the comments of this blog post that you would like to win. Additional entries for every share on social media. Tell us where you shared; each share = one additional entry. 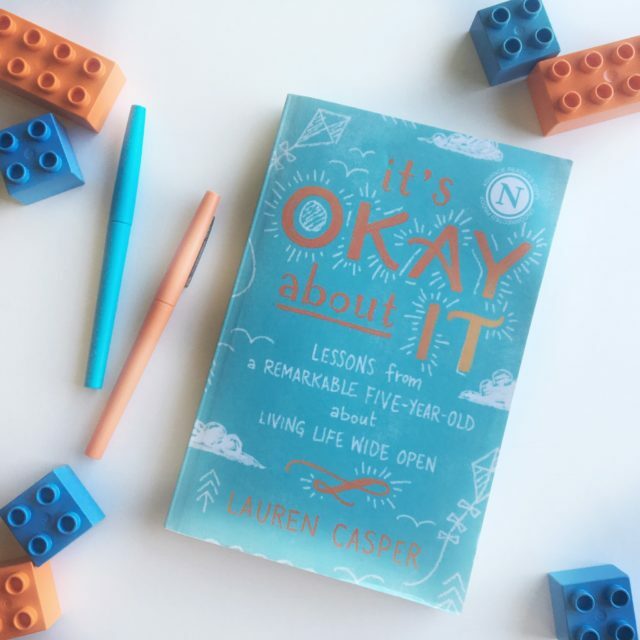 Lauren Casper is the author of It’s Okay About It: Lessons From A Remarkable Five-Year-Old About Living Life Wide Open. She is a top contributor to the TODAY Parenting Team and has had numerous articles syndicated by The Huffington Post, the TODAY show, Yahoo! News, and several other publications. She also has the joy of serving on the Created for Care team, a nonprofit ministry dedicated to serving foster and adoptive families. 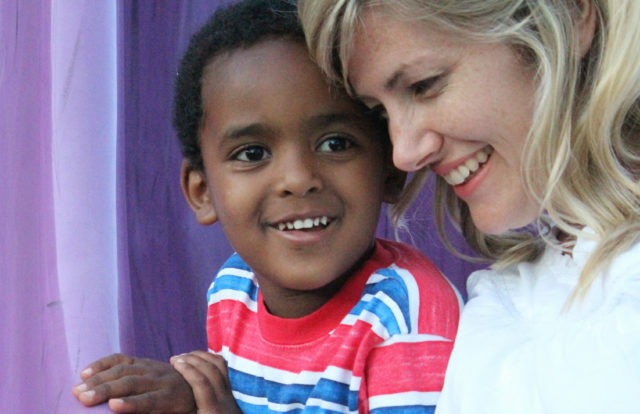 Lauren and her husband, John, have two beautiful children adopted from Ethiopia. Mareto has a number of scripted phrases he says over and over. They seem silly at first, but as Casper has thought about them over time, she’s realized he is actually sharing important life lessons. 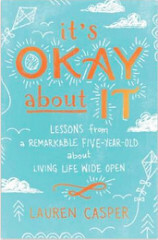 From “it’s okay about it,” a simple reminder that even when things are painful or difficult, things will be okay because of the God who promises never to leave or forsake his children, to “you’re making me feelings,” which teaches the importance of leaning into one’s emotions and, in doing so, sharing a piece of oneself with loved ones—Mareto’s simple yet profound wisdom is a reminder to embrace the broken beauty of life, to believe in a God bigger than human comprehension, to love others even when it doesn’t make sense, and to find joy in unexpected places. For all those looking to recapture the faith, simplicity, wonder, hope, courage, and joy of life, It’s Okay About It provides a guide to look inward and live outward, to discover the most wide open and beautiful life possible. Our featured writer this week is Sue Donaldson. She writes about hospitality and welcoming others to the table. I especially loved this story… sometimes all you need is a can of Pringles! Find Sue here. I would love to read this book. I too have a son with special needs that is teaching me! Thanks for reading along, Kristen. Hmmm… I’ll fix it. You can leave the comment right here. I added that link for my email subscribers. I removed the bad link, Michele. Thanks for alerting me. Lauren and Jennifer — thank you for sharing Mareto’s sweet spirit. This is the Happiness Place, so his joyful approach to life fits right in! I thought the same thing, Michele! What a beautiful story… would LOVE to read this book. Thank you for the giveaway. Beautiful indeed. The whole book is awesome. Brooke! I forgot to let you know … YOU WON! Can you email or FB me your mailing address? What a beautiful story, shared from a heart that sees through God’s eyes! I would love to win this book! Thanks for stopping by! Yes, beautiful story … and beautiful book! Thank you for this sweet reminder. We just found out that my daughter has autism and we’ve been doing more worrying, researching, and crying than we have laughter. Thank you. I would love to win a copy of your book to read more of your insightfulness. Thank you for sharing the truth of a young boy. The lessons learned from Mareto are beautiful and ones that we can all learn from. The book sounds delightful and I know how much better I always feel when I laugh from the tips of my toes to top of my head. Thank you Lauren for sharing part of your story. Would love to win a copy, My nieces are autistic and I gobble up any perspective I can get! I am sharing on pinterest, instagram and face book. This sounds like a beautiful book (and I’d love a copy 🙂 ). I shared on twitter and FB. Some of the most profound statements I’ve heard have come from some of my most troubled students. Their life experience has brought perspective and preception that astounds me. I would love to be entered! I’m always excited about an inspiring story and new book. Oh Wow! I need this book! I love the title of her book. That is awesome. Kids teach us so much. I want to water my inner kid. Love you, Jennifer!!!!!! One of my friends has two autistic children. This book would encourage her and lift her spirits. Thanks for hosting the giveaway! Such a precious story and Mareto has much to teach us all! Would love to read this book! Thank you for hosting this giveaway and sharing about this book. Children never stop teaching us, do they? Sweet Mareto! Play therapy…I could use the laughter and would love to read this book! What a smart little boy teaching others about life! I would love to read more. I shared on Twitter and Facebook! Mareto sounds like a wise and delightful little boy. Thank you for sharing his and Lauren’s story 🙂 Will share. Such a profound truth! Leaning into laughter doesn’t always come easy when so much fills our plate and the lists never get emptied. I’ve often treasured the silliness of my 3 grown kids getting together and bouncing hilarity off of each other, one line after another. And I realize in these times what little or importance I give to something as freeing as laughter. How often a little child leads us to the heart of God! This books looks perfect for my word of the year: JOY! Lauren, your words remind me to be present and savor the moment in front of me – even if it doesn’t look like I think it should. That was a reminder I needed today. Thank you, and Jennifer for sharing your words and book today. Jennifer, you were my professor my freshman year for a journalism class at Dordt College, and it was exciting to see your name reviewing AND see that you have another book out since Love Idol!!!! This sounds like a great book–I’d love to win a copy!